We are working hard to be great and have high expectations, and get out of our comfort zones and do all of these wonderful things to make major changes in our lives and then something happens. It may happen because an event takes place, and we talked about how to change our minds about events that may trigger us (here's that post). 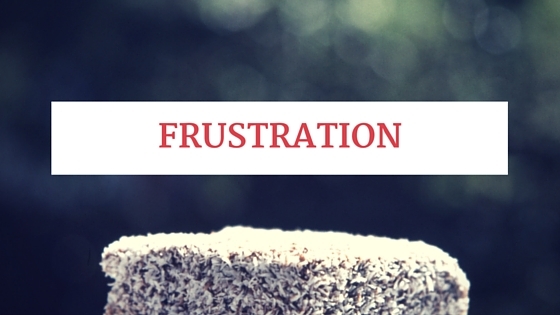 What happens though, when we are frustrated by someone else? Relationship Goals is what the blog is called right? But what happens when we have a relationship with someone, and they are in fact the thing that is frustrating us? Sometimes changing our thoughts to change our mind works just fine. We can think, "Oh what they meant was.... They weren't trying to hurt me... They mean well." Sometimes seeing the best in others, or giving them the benefit of the doubt is enough to make us feel better about that frustrating thing the other person said, or did.....but sometimes it's not enough..then what? Well here are some ideas to help process, or deal with frustrations caused by others. First, we need to stop. Don't argue, it may be more harmful than helpful. Do yourself a favor and give yourself some space. It is okay to be angry. It is NEVER okay to be cruel. Anger is a secondary emotion, as such, there needs to be a primary emotion that comes before the anger. In many situations anger is made up of the combination of sadness and fear. While you are processing this feeling, try to figure out what your primary emotion was that had you feeling the frustration in the first place. Was it sadness, fear, insecurity, or something else? When you have this in mind, think to yourself, "What is it about me, my life, my situation, my past, that makes me feel this (primary emotion) and frustration?" "What can I do about it?" This exercise really lets you take a step back and examine the root of the frustration, but the big kicker, is how you handle it. In a lot of situations this leads to clarity and at times you may even feel like apologizing and explaining why you reacted in such a way. Which may lead to an apology from the other person. In some instances this process may only confirm your feeling of anger and you may feel the need to ask the other person for an apology. Hopefully you have given yourself enough time to cool down, but not too much time to stew in the anger. Relationships are wonderful; however, unhealthy relationships can be detrimental to your well-being. If the situation that upsets you is immoral, illegal, or abusive in anyway, sometimes the best thing to do is to find help, and maybe even to end a relationship. Forgiveness is a POWERFUL thing, and if warranted, forgiving the other person will release you from the feeling of frustration. It is okay to feel those feelings, it is not okay to get stuck in them.